It doesn't get much more perfect than this! A beautiful classically colored Hawaiian Sunrise Shell, extra large in size and perfectly shaped, with a Swarovski Crystal pendant and gold filled curb chain necklace! 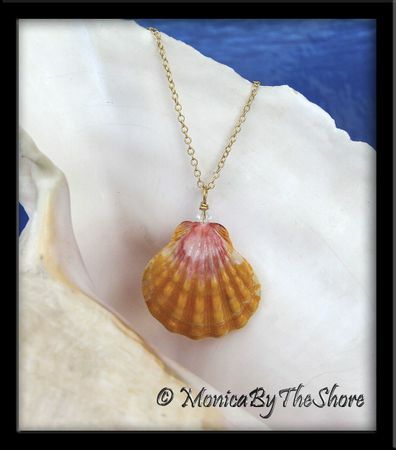 This gorgeous shell is 1 3/8 inches in size, and drapes from an 18 inch gold curb chain necklace. 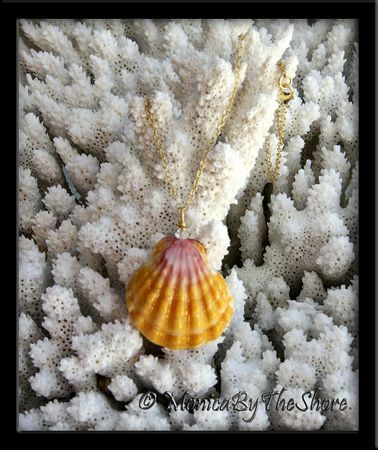 A classic Hawaiian Sunrise Shell in bold pink and yellow colors, seashell jewelry full of Aloha!